The NFL Network and RED ZONE CHANNEL® remain available to all fans on DIRECTV. 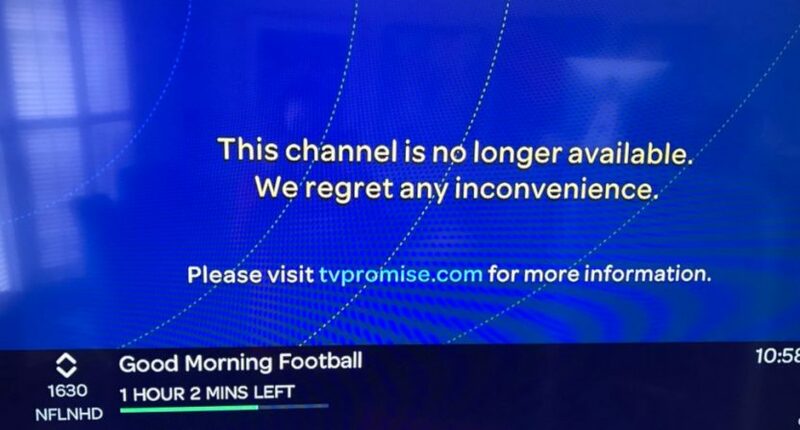 * However, as we continue to manage content costs, we could not reach an agreement with the NFL to continue to carry their channels on U-verse TV and DIRECTV NOW. So just like that, AT&T drops the NFL Network. Gone. Over. Done. Nice going, guys. Bye bye @ATT if I can’t get the NFL Network from your platform, I’m moving to one that has it. Again, dropping NFL Network from U-verse and DirecTV Now doesn’t necessarily mean anything for DirecTV and for the Sunday Ticket deal. U-verse and DirecTV have handled some carriage negotiations separately despite their shared ownership, and some channels are available on one service and not the other. And there’s been talk that AT&T is trying to convert many U-verse subscribers over to DirecTV anyway. But it’s interesting to see NFLN go dark on U-verse and DirecTV Now, considering that the network has generally had pretty solid carriage and considering that they only signed a DirecTV Now deal last summer. And it maybe says that the overall relationship between the NFL and AT&T isn’t particularly rosy at the moment.